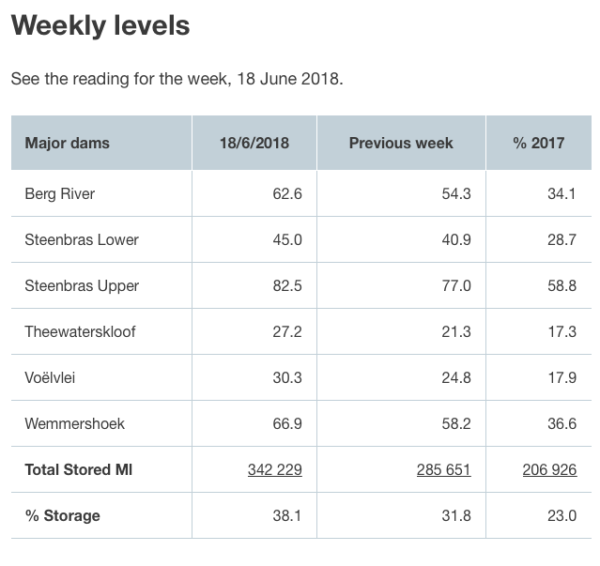 Cape Town dam levels have risen to 38.1% over the last week, which is an incredible increase of almost 7% compared to the reading taken last Monday. 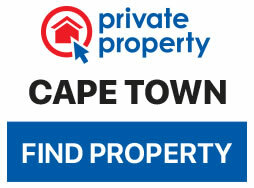 The City of Cape Town released the new figures on Monday afternoon, showing a notable increase in dam levels. June’s rainfall has been favourable for the drought stricken city, following three years of no rain. Level 6B water restrictions have been in place since February to curb water wastage in the Mother City. During the same time last year, dam levels were sitting at 23%. The Berg River area has recorded 173mm of rainfall in the last week and is almost double the percentage for the same time a year ago. 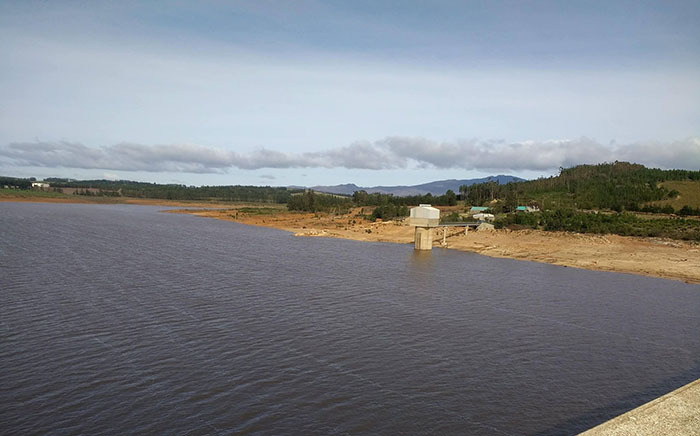 A picture time lapse recorded a year apart has shown the noticeable increase of water in Theewaterskloof Dam. More rainfall is expected for the Western Cape this week, leaving locals relieved after months of ‘Day Zero’ looming over their heads. 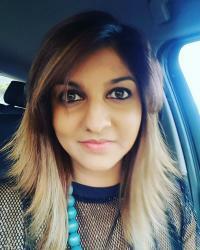 The City has cautioned residents to continue to save water and not get carried away by the rainfall, as Cape Town is still in a severe water crisis. New Water By-laws have also been put in place to ensure water restrictions are enforced.